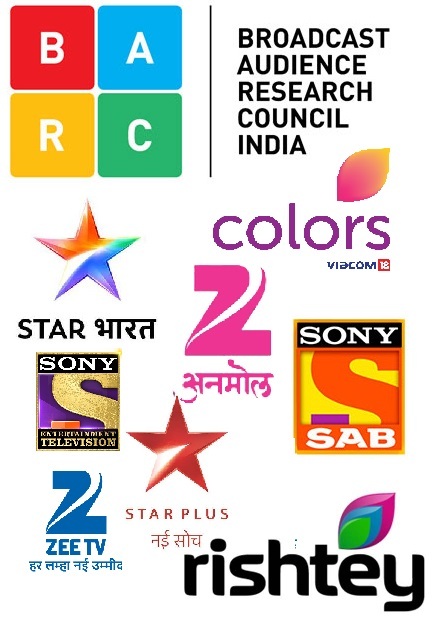 Scrutiny: Mental Hai Kya to release on 22nd Feb, 2018! 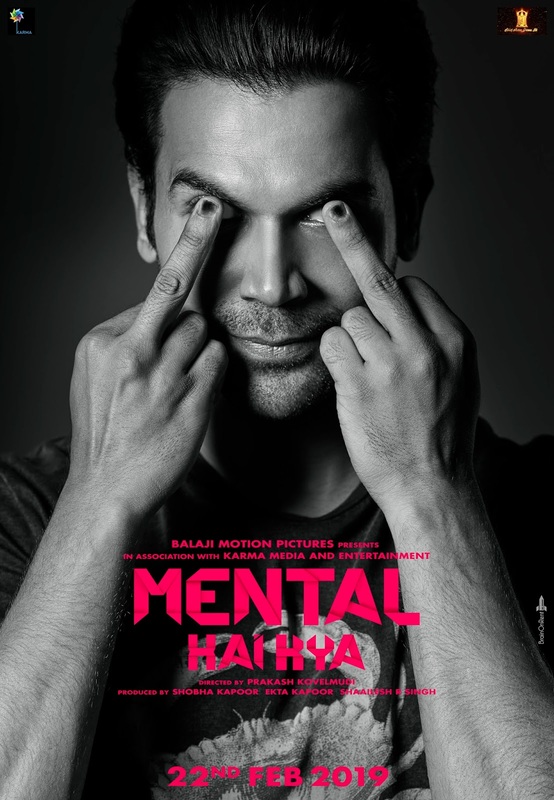 Balaji Motions Pictures & karma Media and Entertainment's much awaited film Mental Hai Kya, starring Kangana Ranaut and Rajkummar Rao is all set for a release on 22nd February, 2019. The hit Duo who are coming together after the blockbuster Queen, created a massive impact with the crazy look posters that the makers unveiled! While the shoot is on, the actors have been releasing some interesting and uncanny looks of the characters giving us a subtle hint on how crazy the ride is going to be. Adds Shailesh R Singh, "Mental is a story about two beautifully chaotic characters and I am certain no one else could fit in the shoes except for Kangana and Rajkumar. 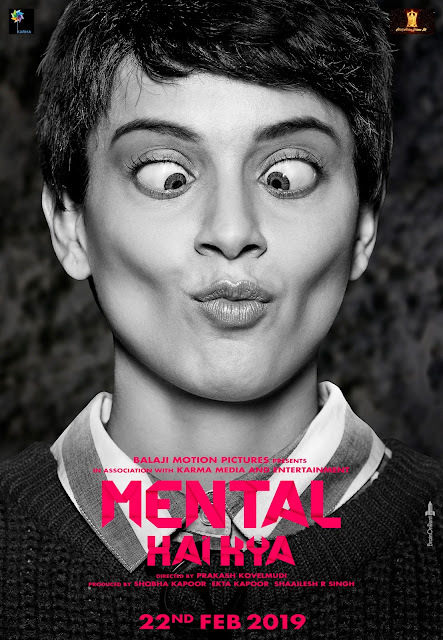 I am looking forward to their madness and excited to bring the two Mental's to the audiences on 22nd Feb."
'Mental Hai Kya', is directed by Prakash Kovelamudi, written by Kanika Dhillon and is being produced by Balaji Motion Pictures and Karma media and entertainment.